Nelson Mandela, the first black president of South Africa and Nobel Peace Prize winner, died peacefully last Thursday night. Tens of thousands of people from around the world attended his memorial service in Soweto on Tuesday, including more than 90 national leaders and 10 former heads of state. More than one news report agreed that Mandela’s death leaves South Africa without its moral center. Mandela will undoubtedly be regarded as one of the giants of history, a man who fought to end apartheid or the apartness caused by a policy of racial hatred and discrimination in South Africa. From his early days, Mandela was an outspoken critic of and activist against South Africa’s policy of racial segregation. As a result, in 1962, Mandela was arrested and sentenced to prison on Robben Island, a small penal island located just north of Cape Town. Robben Island is a terrible place, a kind of black hole that swallows up its victims, a place of punishment and exile where people are sent and forgotten. 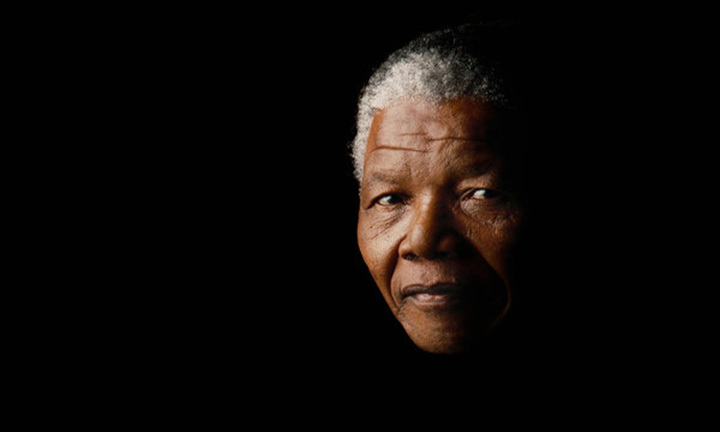 Mandela spent a total of 27 difficult years in prison. He was assigned to hard labor in a limestone quarry. Because he was not permitted any eye protection while working under the searing sun that reflected off the rocks and into his eyes, Mandela lost much of his eyesight and the ability to produce tears. To make things even more difficult, he and the other political prisoners were kept isolated from the outside world. His family was only allowed to visit him once every six months. And so, Mandela forgave those who had imprisoned him and in so doing forged a new way forward for his country. He led South Africa to distance itself from a policy of racial separation that had been tearing his country apart. He forgave the government that had segregated him, He forgave his jailers, and he forgave his country for hating him. He looked for ways to bring people together. He showed others that revenge was not the answer to the injustice he had personally suffered. Regardless of what one may think about Mandela’s political views or his leadership style, one thing is certain, Mandela forgave those who hurt him and then moved on. “And in doing so,” one writer observed, “he rescued his country.” While history will debate the life and times of Nelson Mandela, I believe that his greatest legacy is showing the world what forgiveness looks like. When a man who had every right to hate and to be bitter toward those who had kept him imprisoned for 27 years can forgive, we must do nothing less than to forgive those who trespass against us. Incredible. What an example! The only way to truly forgive is thru Jesus. Amen. I have long-admired Mandela for this very thing — a willingness to forgive. Grateful for his example.